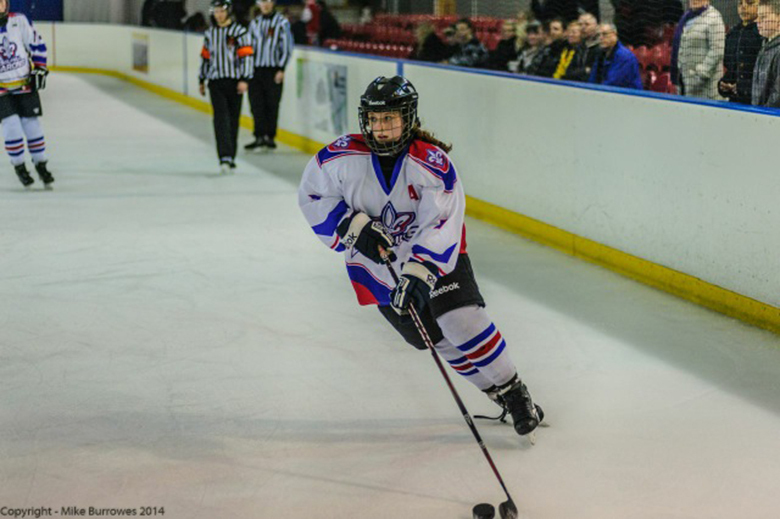 A talented Ice Hockey player studying at The Sixth Form College, Solihull has recently returned from representing Great Britain at an international tournament abroad. Amy Trueman (aged 16, from Solihull) went to Budapest recently to play in the tournament for the Under 18 Great Britain team. The team finished third overall, one place better than the Under-18s managed at last year’s tournament and Amy scored two goals and was named Man of the Match in one of the games. “I’ve played ice hockey for four years. My dad influenced me to start because he played the game and it looked like so much fun, especially with the physicality of the game. “I first got picked for the Under-16 Great Britain Development squad late last year and I was asked to play in a international tournament in Austria in January 2016 for the Under 18s team. I am really enjoying it. Amy, a former Lode Heath School student, plays the forward left, centre or right positions, but prefers to play on the wing. She has big ambitions for the future. Amy is currently studying A levels in Physical Education, Sociology and Law and is interested in a career in law enforcement, with the police service a possible avenue in the future.